Home Outfitters are giving away a KitchenAid Artisan Mini Stand Mixer! 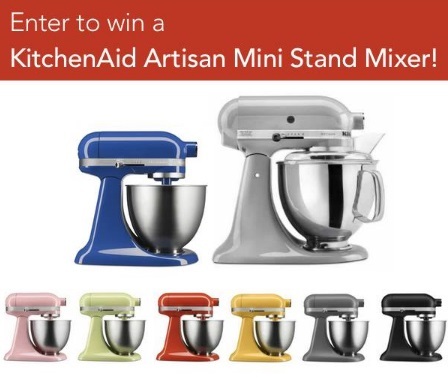 To enter to win just comment on the linked post below telling them why you'd love a KitchenAid Artisan Mini in your kitchen, share using the hashtag #MiniMoments and share the post. Contest closes July 27, 2016.